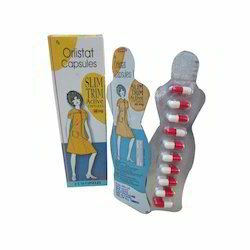 Offering you a complete choice of products which include olistat capsule, orlistat capsule, orlistat capsules, slim trim capsules, vyfat orlistat and orlimax capsule. 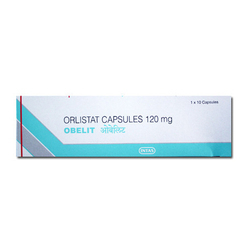 Orlistat is used for weight loss along with an exercise and diet regimen. It is also prescribed by doctors to overweight people who may be suffering from high blood pressure, high cholesterol, diabetes and heart patients. It is also used to stop weight gain after weight reduction. 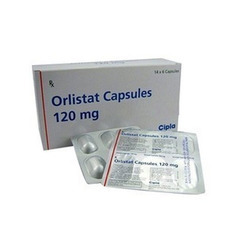 We are a leading supplier of Orlistat Capsule. 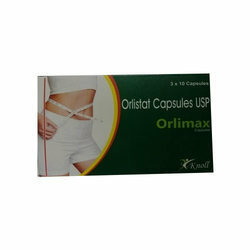 Orlistat is used for weight loss along with an exercise and diet regimen. It is also prescribed by doctors to overweight people who may be suffering from high blood pressure, high cholesterol, diabetes and heart patients. 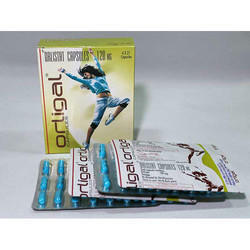 It is also used to stop weight gain after weight reduction. 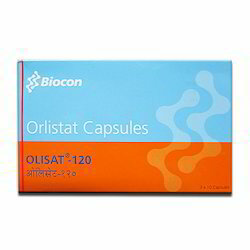 Orlistat belongs to a class of medication called lipase inhibitors. This prevents absorption of some fat (present in our food) from the intestines. This fat is then removed from the body in stools thus reducing weight gain. 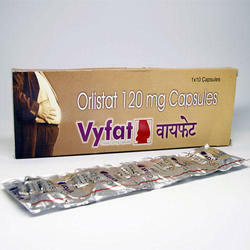 We are offering Vyfat Orlistat to our client.